As you can all see lately, I've been branching outside from my normal fashion posts and bringing you beauty and lifestyle themed reviews. I hope you're all liking them, I would love to hear your feedback! Today I am bringing you a review of two hair care products I have been testing from NHP. You might have noticed that my hair is super long and something that I absolutely love, and it makes sense to look after it with the best products I can afford. I always find it so difficult when I'm in the shops and faced with such a wide selection of hair care products, I think this is where reviews come in really useful as you can hear first hand if they are any good! NHP kindly sent me the Nourish Hair Mask* and Beautifying Elixir* to try out and review, here's what I thought. This is a deep and intense nourishing mask containing organic argan oil and macademia oil, perfect for dry, damaged or colour treated hair. Well my hair is all three of those, unfortunately! I've been using the mask twice a week and leave it on for 30 minutes to an hour each time before rinsing and I have to say I have noticed a visible improvement in terms of how soft my hair feels and that I have less flyaway hairs that go all frizzy. Result! This is a fluid product also containing organic argan oil and macademia oil with the addition of sunflower oil. It smells really good and it's used to add shine and moisture your lovely locks. I used it sparingly after I washed my hair and before blowdrying, leaving it on for 10-15 mins and my hair felt fabulous afterwards, all smooth and shiny and healthy looking. You can also use the product as a mask treatment all over, or to tame frizzy hair in general (I put a little bit on my comb and run it through any sticky uppy hairs to tame them!). Overall I really enjoyed testing these products, I can see a use for both of them in my weekly routine and noticed benefits from the first time I used them. I am so pleased I was made aware of the brand as I hadn't heard of them previously so I hope this helps share some awareness as the products really are great quality and not too expensive. NHP can be bought in bulk at www.arleneuk.co.uk or for personal use at www.beautybyzara.co.uk. 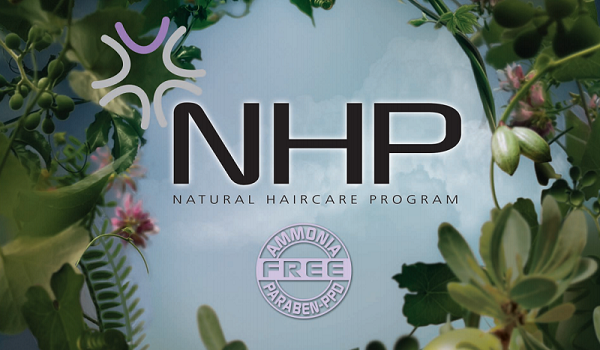 Have you used any NHP products before? What have your experiences been? Let me know in the comments! i have never heard nor used NHP branded products before, after reading your review though I will check out there website, there hair mask sounds good and quite reasonably priced i think!